Pretty Things: Which President was Born on the 4th of July? 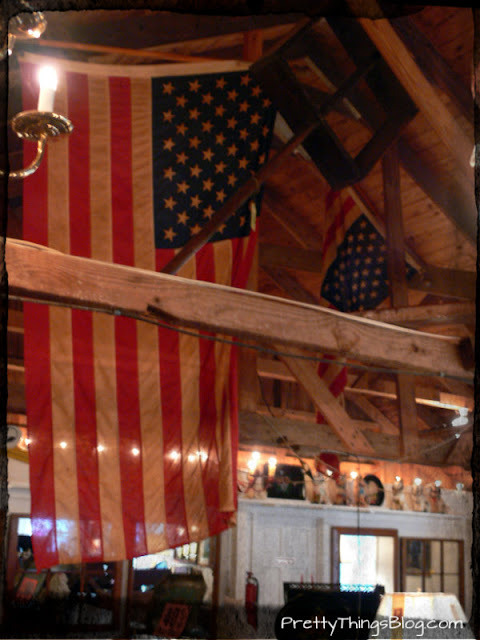 Over Easter, Zack and I visited my dad, who lives near Luray Caverns. If I visited over Easter, why haven't I written this part of the post yet? Because part of it has to do with the 4th of July. 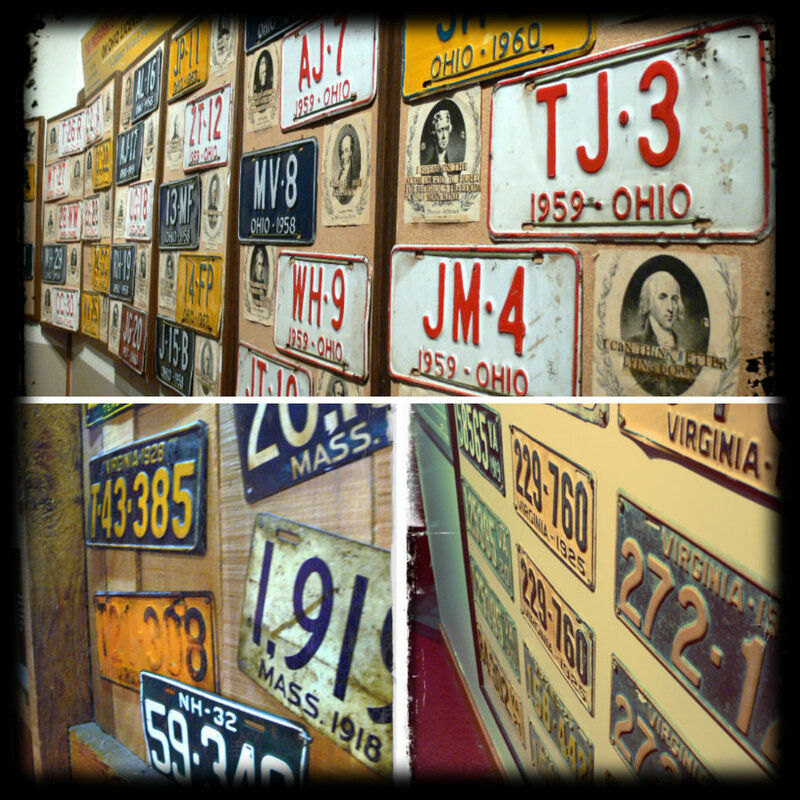 Part of the Luray Caverns exhibit is the Car and Carriage Caravan Museum. Zack loves loves loves cars. He is almost a savant about cars and has an enormous collection of Hot Wheels. The museum was absolutely amazing. Among its collection of antique cars is a 1925 Rolls Royce once owned by Rudolph Valentino. 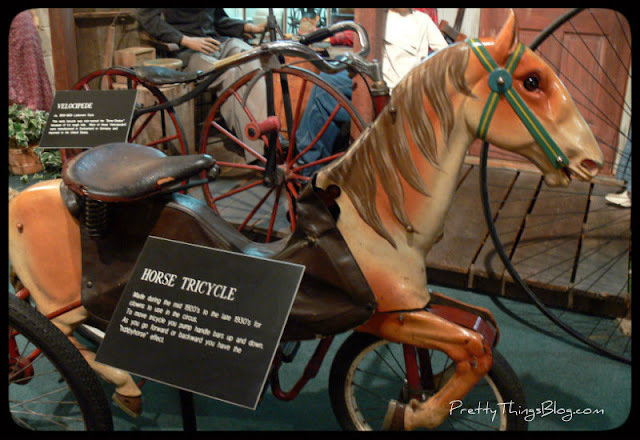 There was also a horse tricycle that totally charmed me -- can you imagine being the lucky kid who owned this? I love the details on old cars. And here's where we get to the 4th of July part of the post. In the top photo of the license plate collage, you can see various pictures of the presidents of the United States. Each picture has facts about that particular president. I have no idea why the sentences were put together like a kidnapper pasting together a ransom note, but they were certainly interesting! 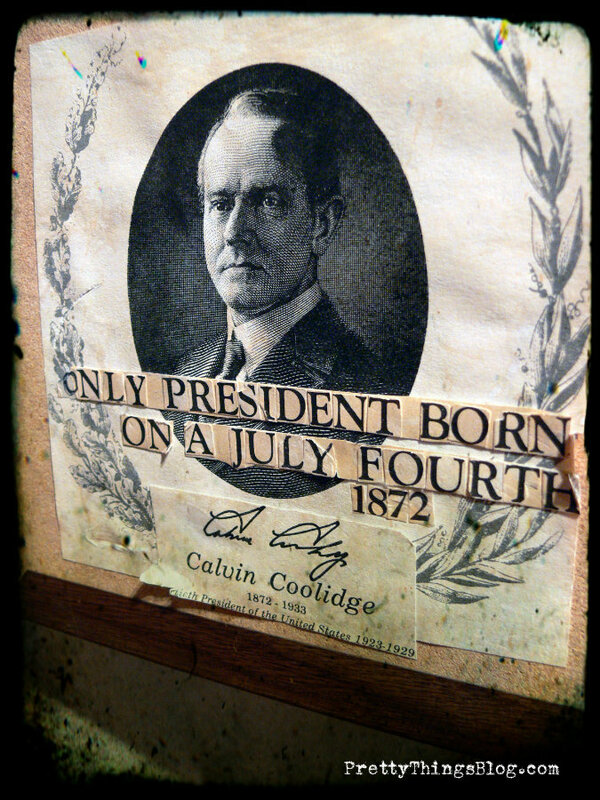 Calvin Coolidge was born on the 4th of July! 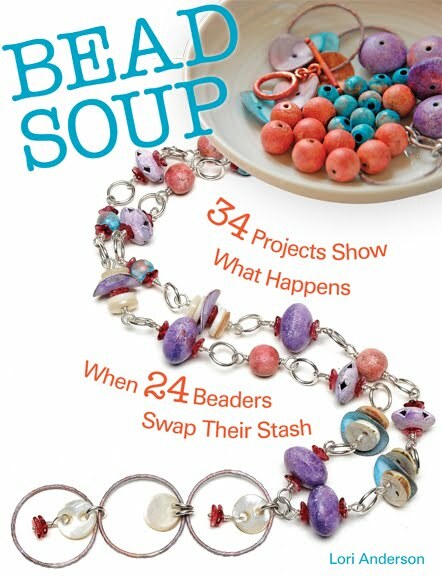 Lori Anderson creates jewelry and bead kits as well as collaborative mixed media art with her son, Zack. 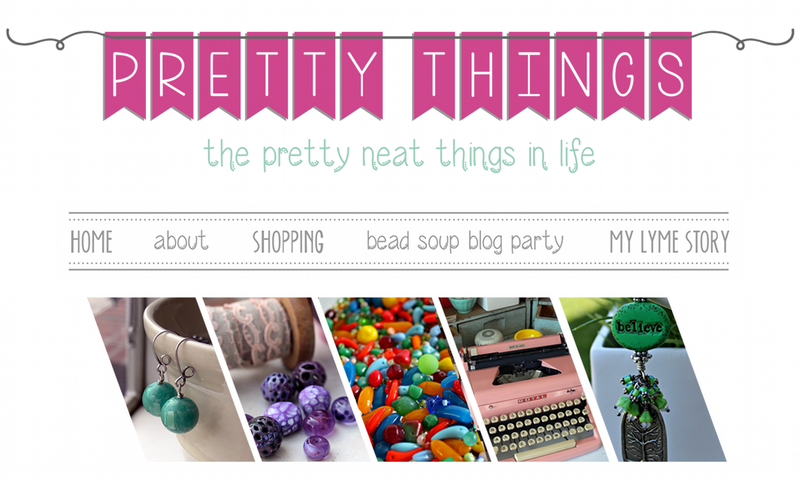 Visit her shops by clicking here. 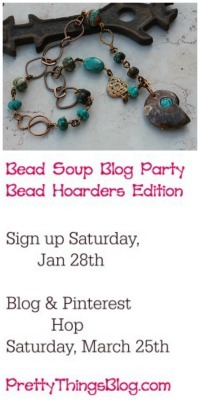 She is also the creator of the Bead Soup Blog Party tm and author of the book Bead Soup. I didnot know that! I will have to ask Mark and see if he knows. I love LOVE the photos. I will send Zach the poke mon cards/book when we unload the unit. I am so so blessed to have met you and the other wonderful women. Thank you Lori for the interesting story and pictures. I want a horse bicycle! And, if I'm not mistaken, Jefferson died on the 4th of July. Didn't know that about Cal. 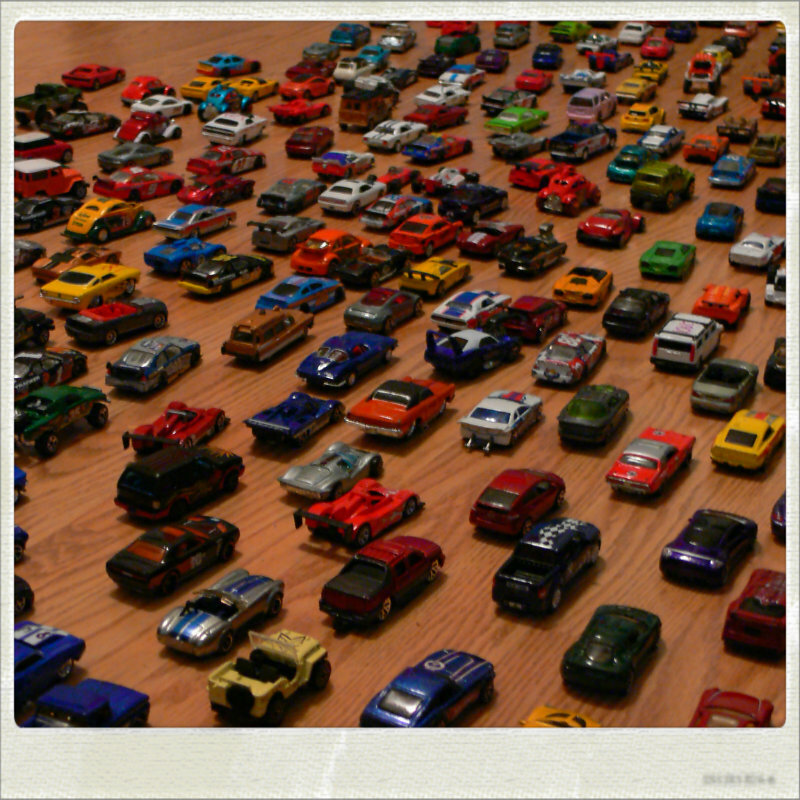 Love Zack's car collection. Looks really fun! I did not know that. Thank you. That would be a fun trivia question. That looks like a totally neat museum to visit! Your son and my boyfriend would get along quite well; they both LOVE cars. 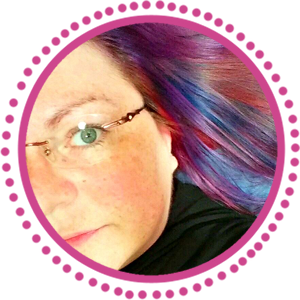 Hi Lori Thanx for the pics. It's great to see a young person interested in old cars. My husband & I restored & customized classic cars for more than 20 years. If Zack wants to know more about old cars there is a book called "Standard Catalog of American Cars 1946-1975" (Volume2) that tells all about what sizes cars were, what motors & options they came with & lots of other stuff. There is also an older one that covers 1805-1942 (volume1). Zack might not be ready for this yet but down the road he might want to know more.